Jack Mitchell has shared his bets with us for monitoring purposes for the best part of a year and have been very impressed by his results. He is on the podcast this week to talk about how he has gone from keen amateur to full-time professional in a short space of time and at a young age. Jack has just is launched a new greyhound betting membership which will have an average of 4-5 bets per day (plus staking and comments) 4-5 times per week. Dave Duffield: Good day Jack, tell us a bit about your background and your interest in greyhounds. Jack Mitchell: My interest in greyhounds, I mean none of my family are punters or anything so I sort of fell into that. A couple of guys that I met and then an old manager of mine were greyhound racing nuts and I just one day having a bet and I sort of attached myself to that. I mean, I was a very poor gallop punter before that and sort of needed something that wasn’t costing me a bundle every week and yeah, I fell into that about three years ago and haven’t looked back. Dave Duffield: What is it about the greyhounds that really interests you? Jack Mitchell: I found a form, I sort of picked that up naturally I guess, doing that, so that helps. I think it’s just the speed of the races and the fact that I don’t have to worry about having to rate the jockeys, for one and I just found it easier to read the race basically, and it just sort of started from there. Dave Duffield: And as of last year, you’ve basically turned it into full time? Jack Mitchell: Yeah, last November I was working at Coles and thought I’m a bit sick of being told what to do, so took a jump into now at 24 rather than wait until I’m 34 and got a mortgage and kids. 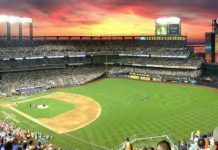 Dave Duffield: Along the journey, as you’re trying to learn more about form analysis, ratings and everything that goes into that, you’ve hunted down a few mentors along the way? Jack Mitchell: Yeah, I sort of, I think borderline stalked Ben Krahe and picked his brains. He’s been awesome. I mean, some of the pros I’ve come across are very guarded in their secrets and in their methods. Yeah, more power to them, I guess but Ben’s, if I ask Ben a question, he sort of opens up. Dave Duffield: Has it just been greyhound guys that you’ve been in touch with or has it been gallops, harness? Jack Mitchell: Well, I mean, there have been gallops punters, I’ve spoken to sports punters. I mean, there’s something you can sort of learn from everyone that doesn’t necessarily have to come from a greyhound racing background. I mean, you can learn from a sports betting guy what his edge is or how he goes about finding out or what maybe his method is and sort of think, well can I apply that in some way to what I’m doing? If not, don’t apply it, but if you can then it’s great. Dave Duffield: So what is your process in doing the form? Jack Mitchell: Basically, greyhound racing is no different than the other two codes so the first thing you want to do is establish from the boxes, so if you’ve got a dog that is desperate for the rails and has drawn box eight going out to the car park, straight away you can kind of go, yeah, it’s going to struggle to find it’s way into a race. I try to just get comfortable early on with the box choice. I go through each dog’s draw, the dog in box one, does it actually want to be drawn next to the rails? Some dogs don’t like that sort of cramped up feeling, some dogs want space. Is the dog drawn in box five really disadvantaged by the middle draw or is the dog on the outside, is it going to fly from the outside, sort of try and get comfortable with that and within the first three or four seconds of the race because these races are won or lost like that. Yeah, I try and sort of pick out speeding up from the box to the post or from the box to the first marker so the first five to eight seconds of the race and get real comfortable with what I’ve got there because that’s where it’s won and lost. Then from there, I mean, a dog’s run time is more determined by what tracking space and if it’s out in front, it can run home quick enough that more often than not, it’s not going to get run down. Dave Duffield: With the speed maps, are you plotting that somewhere or is it in your head or how do you do that? Jack Mitchell: I actually get out an Excel spreadsheet, just a blank spreadsheet, and sort of have the eight dogs just line up in a column and I’ll pretty much just use Excel to plot it. If I think a dog’s slow, I’ll just drag out one bar and if I’m feeling a dog’s going to fly, I might drag it out five bars and I just sort of use that. Dave Duffield: You’ve concentrating on one geographic area, being Victoria? Jack Mitchell: Been there for a year. I mean I could have fallen into New South Wales, I could have looked at any other state, I just happened to fall into Victoria first and then once this got more serious, I just stayed here because I knew it, so yeah. Dave Duffield: With the focus on Victoria, does that mean that you get to know the dogs fairly well and their tendencies, because like you said before, it’s not just pure speed from right from the start but it’s also their tendencies and some of them want to find the rails, some don’t. Jack Mitchell: Yeah, you get to learn what dogs want to run hard throughout the track pretty quick. I mean, on Saturday for example, I could open up the form guide and look at the free form race and I could pretty much look at and plot out a speed and that without having to watch too many replays or anything, because you get to know what each animal does. You get to know what dog wants to go hard left, or who wants to go half up the track and go into the grandstand or what dog’s going to fall out of this and be two lengths off that straight away. Dave Duffield: So you’ve got the speed maps sorted, what else goes into the form that you do? Jack Mitchell: Once again the speed and that’s sort of looking at the first five seconds of a race. I’ll marry up, you know, I’ll look at the form guide and sort of see what dog’s running X, Y, Z at the time and I’ll watch a replay and just sort of marry up what I’m seeing in that replay. How did that time, I guess, come to be. I mean, as I said, I look to the on pace runners 99 percent of the time, but once I get the speed and that right, I just sort of want to establish and make sure the dog will get the trip, make sure that the dog isn’t going to do anything that I think might cause itself some trouble. Some dogs tend to sort of crack under pressure and maybe wander off the rail and then allow another dog to run by, basically. It’s just about sort of, I guess, getting comfortable with a race as a betting proposition from start to finish. Dave Duffield: How important is fitness when you’re doing this work? Jack Mitchell: Fitness for the dogs? Yeah, very important. Some dogs do fly fresh, I mean, it depends, that does depend a little bit on the trainer. Some of their dogs you know will fly fresh. Some dogs you know need a run, depending on what kinds of race they’re running into, will need a run or two to get the trip run right out but generally speaking, you rely on a dog being fit because otherwise the trainer’s not going to take it to a track because that is actually their income as well. Dave Duffield: How closely do you monitor the trainers then and like you mentioned, some will be more likely than others to have them ready? Jack Mitchell: I mean you get a fair amount of them and names like, you can pretty much trust their dogs are going to be ripe to go every time. They’re sort of the cream of the crop, in my eyes anyway. I like taking their dogs because I know that 99 times out of 100, they’re going to be in good nick, which sort of eliminates that one variable in the form itself. 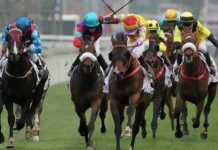 Dave Duffield: With the overall form, you know, there’s each code whether it’s gallop, harness or the dogs can have a reputation for some interesting results. When people won’t always trust the form or the market moves can be pretty insightful as to how a race is going to go, do you think that’s anything that’s more or less prevalent in the dogs? Jack Mitchell: Yeah, I mean it does happen, for sure. I mean, there are a lot of, I guess, betting kennels in greyhound racing too, so when you see a dog backed clean off the map by, there’s a couple of kennels in particular I can think of, if you see one of their dogs backed clean off the map, you know it’s probably going to be pretty hard to toss so it’s not uncommon to see something go from six or seven dollars into $2.15, similar to your form, and go oh I missed that or you look at your form and that because you won’t get smashed in like they didn’t know it was going to run well from that kennel. 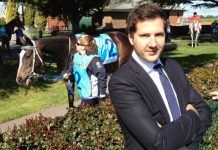 Dave Duffield: Last week had Rob Waterhouse on the show and he talked about SP profiling and how the horse or the dog’s recent price, it’s price at recent runs is a factor in what he looks at, an important factor. I know Ben does the same for the harness, do you use that as any kind of form factor? Jack Mitchell: Yeah, very much. I know Ben sort of lives on that saying ;where there’s smoke, there’s fire’ and I’m much the same. I know Robbie last week said that there’s a lot of information within that price and I agree 100 percent with him on that. I think, you can sort of see, even if you’ve got a dog who just comes out and runs a flat and doesn’t get checked, just runs a flat race, he’s $1.90 favorite in a race where you know $1.50 whatever might be. If I go back and look at that and go, it was just a flat run and it was from a good kennel, I’m happy to trust and just put a line through it completely and trust the dog because you know, where there’s smoke there generally is fire. The dog might come out the next run at three, four, five bucks after flat run at $1.50 favorite and come out and smash it by five or six lengths. It would be silly to ignore it. Dave Duffield: There’s a lot of aspects to the form, but once you’ve actually completed the analysis of one race, it’s only then that you’ll look at the available prices and see what an overlay is based on your market? Jack Mitchell: Yeah, once I’ve priced up a race and I’m happy with that race, I’m happy to bet into that race and with my market then I’ll look. I sort of think if you start looking at markets before you do your own, you’re pretty much going to point your market, 100 percent of the time will look like a bookmakers market anyway and then straight away your edge is gone. Dave Duffield: Your own rated prices are they to 100 percent? Jack Mitchell: Yeah, to 100 percent. I’ve got Ben’s skew sheet off him so I’ll do it to 130 percent and then the skew converts it to 100. Dave Duffield: With the skew, you’re basically punishing the outsiders, making them longer and keeping the favourites to around about that price? Dave Duffield: Okay. There’s, I was going to say a million, that might be an exaggeration, there are a lot of greyhound races, so today you’re specialising in Victoria. You’ve got, how many races would there be each week? 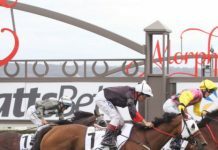 Jack Mitchell: Races in Victoria, well if we use today as an example, we’re looking at three meets, so there’s 36 races today and today’s a quiet day. Just in Victoria alone. I mean I’m not betting on anything today, but out of those 36 races, hypothetical I’d probably focus on six or eight. I tend to ignore low class races and maiden races, just the dogs haven’t sort proven they’re reliable across, over a period of time so I don’t sort of consider them great betting propositions. Nationwide, there’s probably 100 races. Dave Duffield: That presents opportunities, doesn’t it, for someone like yourself that’s prepared to do the form in depth. The bookies don’t have a whole team of greyhound analysts so you find some of the softer markets and take advantage? Jack Mitchell: Yeah, if I want to look at five races for the day, I mean I might come across four where my overlays are minimal. If I come across one race where I’ve got a two or three times overlay and I’m happy with that race, I’m happy to bet into that race. Dave Duffield: You tend to focus on one or two runners in a race, so you’ve gone away from monitoring the entire market, entire field and you know, looking at some of the outsiders and whether they might be value, it’s mainly focused on the top rated runners? Jack Mitchell: Yes, I mean I’ll do up a market and I do tend to sort of favour the front runners anyway so naturally the short end of the market, and in my market it’s the better dogs so I tend to focus on one. I mean if there’s, because a race I’m focusing on three, that’s a rare event these days. I focus on one or two runners in a race and yeah, it’s naturally and basically. Dave Duffield: It’s been a few months now that you’ve been doing this full time and prepping to find some winners for our client base, so that’s one thing we’re pretty excited about. It’s interesting that all the punters and the bookies that we speak to, dogs has gone from strength to strength, so like you said, the volume of races is definitely something that helps it in that way and also from our perspective these markets can’t be as efficient as the big stuff just because there are too many races to cover and too few people to price them up so that creates an opportunity for us and one we’re looking at taking advantage of right away. Jack Mitchell: Yeah, it’s pretty exciting stuff really, I mean I remember twelve months ago and it’s sort of the elephant in the room, still you know, greyhound racing was pretty much on its knees. It’s a lot of great stuff and there now everyone I talk to they all handle the dogs so they all have an interest in dog racing. They’ve all got their favorite dog they like to watch run around. Dave Duffield: And New South Wales is on the radar as well but you’re a lot more confident in Vic, so that’s on the back burner just for the moment. Jack Mitchell: Yeah, I mean, New South Wales is one of those ones where given time, I’m sure I could sort of nail that down as well and there’s no reason I can’t have the same success I have in Victoria, so yeah. Dave Duffield: Speaking about success in Victoria, so is it somewhere round about 10 percent that you’d be confident to predict in terms of Profit on Turnover? Jack Mitchell: Yeah, 10 percent. I mean, every punter I talk to seven percent seems to be a magic, sort of the magic figure they come up with. I mean, if I won seven percent, I’d be happy with that, but 10 percent is where I want to be. I like to aim a little bit high so 10 percent is good. If I get 12 percent I’m ecstatic. 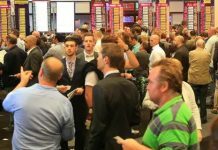 Dave Duffield: Yep, and amongst corporate bookmakers, is it just a matter of not going too hard too early, basically to share your bets around a bit? Jack Mitchell: Yeah, Bet365, they’re up for most races the night before so naturally they’re up first thing in the morning as well. I know that a lot of people are going to sort of say, well I can’t bet there and I’m in the same boat. If you get the bets and then have to go into a meeting or whatever, as long as you can get the overlay at 365 you can bet and forget but I would prefer to wait just because you can still do your bets through different companies and then once the TAB come up, they’ll take your bets anyway. It’s sort of, it’s dogs just cannibalising the market basically, it stops us smashing markets in to place before the bulk of them go up and it just keeps your chance alive longer. Dave Duffield: How late do the TAB go up? Jack Mitchell: For a meeting like Sundown or the Meadows, the Metropolitan meetings, they’re up sort of five-ish, sort of two hours before hand if everyone’s awake or open two hours before hand. It’s about 15 minutes for the provincial meetings so they’re sort of up, they go up and then everyone else who’s up gets the copy and paste button furiously working. Dave Duffield: Hopefully it’s given people a bit of an insight into your journey, to use a cliché and congratulations on being 24 and going full time as it’s a great effort to take that plunge. We look forward to working together and obviously the profitability for the greyhound guru subscribers so really looking forward to that and we’ll have a lot more information for members regarding that, but I just wanted to give the podcast listeners a bit of background on you and what you’re up to. Jack Mitchell: Yeah, good stuff. Very exciting.